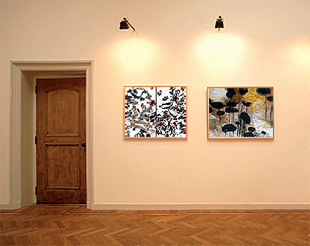 Whether you are an artist, a curator or simply an art lover who wants to place and hang artwork, we are here to help! Our 25 years of experience handling and installing works of art will put you at ease as we carefully and professionally create an exhibition of works in your home, office or gallery. We are also able to install security hardware if the pieces are displayed in public areas. Some of our most successful installations are in homes where we helped frame and hang all of the treasured family artwork and photos that had been stowed away in boxes for years and years. Bring out your artwork and enjoy it!